Get everything you need to put—and keep—your accounting career in the black. Get industry news, insights, career tips and job alerts delivered to your inbox. 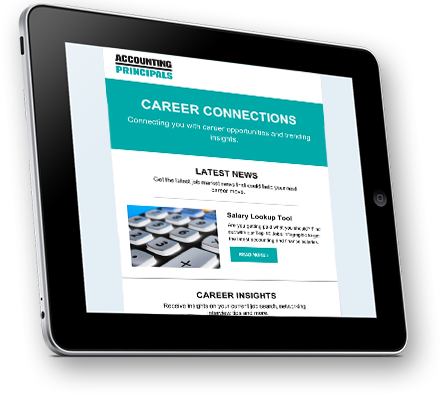 Stay up-to-date with the latest and greatest news on the accounting and finance industry and job market. Get our expert take on the news, as we chime in on what it means for digit-driven professionals like you. Get actionable tips that help you climb the ladder and increase the most important number of all—your salary. Receive updates on the hottest accounting job openings across the country—and connect with us to land one.